The berry sublimation is the removal of moisture from fresh berries by vacuum freezing, which allows almost all of them to maintain nutrients, vitamins, trace elements and even their initial form, natural flavor, taste and color. Candy «Strawberry» include freeze-dried strawberries, covered with sugar free milk chocolate and decorated with slices of freeze-dried raspberry. If you eat an entire box of Idea Fix at once, then?.. The level of sugar in your blood will stabilise improving your immunity and reducing the toxins in your body. If you eat Idea Fix constantly? It improves your skin and digestion, and reduces excesses weight. Who can eat Idea Fix? No damage to the figure - everyone! Even, pregnant and nurturing mothers, type 1&2 diabetes patients, and athletes when they're shredding fat. Yep! Technology LaciLact does not use sugar and harmful sugar substitutes. Only natural ingredients, prebiotics and vitamins which are powerful metabolic catalysts. 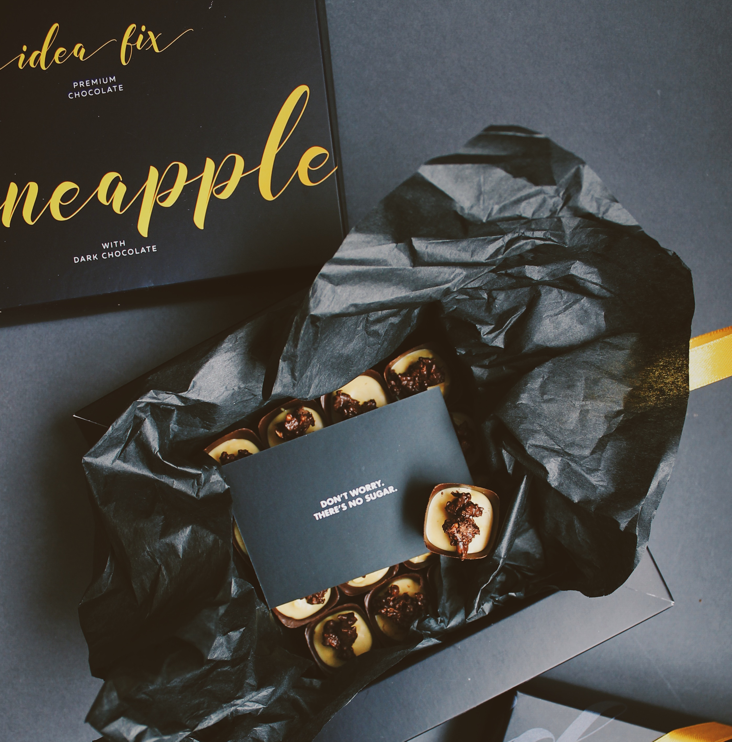 Candy "Pineapple" includes a fudge of freeze-dried pineapple with the addition of turmeric, in an open case of black sugar free chocolate, decorated with slices of freeze-dried pineapple in chocolate. 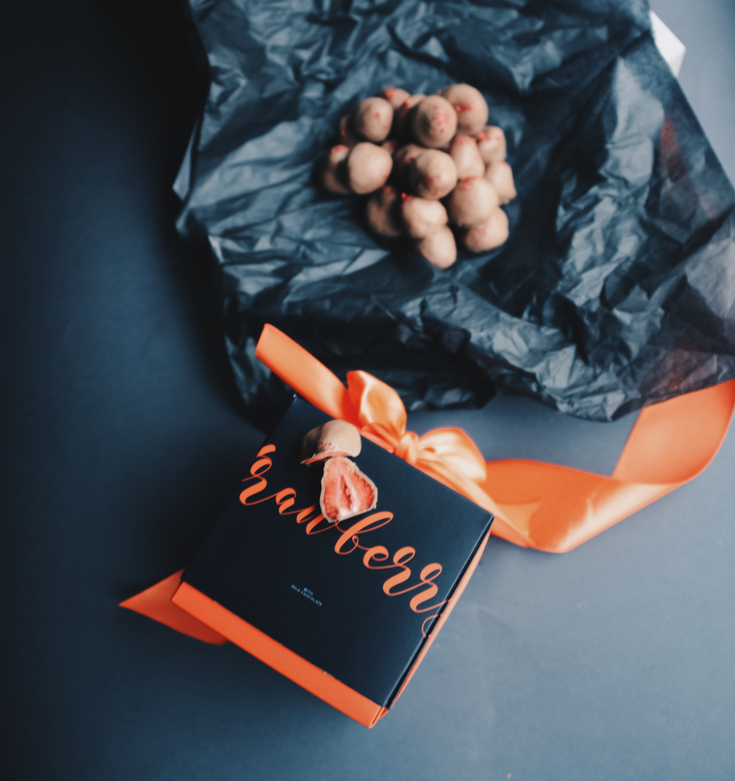 Candy "Pineapple" includes a fudge of freeze-dried pineapple with the addition of turmeric, in an open case of sugar free black chocolate, decorated with slices of freeze-dried pineapple in chocolate.